Aside from her rock star looks, Catra Corbett is a standout in the running world on her accomplishments alone. Catra is the first American woman to run over one hundred miles or more on more than one hundred occasions and the first to run one hundred and two hundred miles in the Ohlone Wilderness, and she holds the fastest known double time for the 425-miles long John Muir Trail, completing it in twelve days, four hours, and fifty-seven minutes. And, unbelievably, she's also a former meth addict. After two years of addiction, Catra is busted while selling, and a night in jail is enough to set her straight. She gives up drugs and moves back home with her mother, abandoning her friends, her boyfriend, and the lifestyle that she came to depend on. Her only clean friend pushes her to train for a 10K with him, and surprisingly, she likes it?and decides to run her first marathon after that. 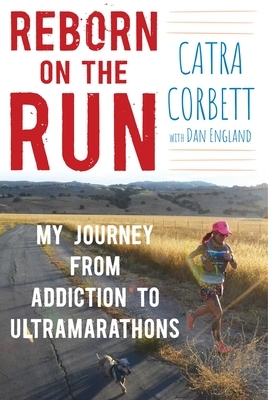 In Reborn on the Run, the reader keeps pace with Catra as she runs through difficult terrain and extreme weather, is stalked by animals in the wilderness, and nearly dies on a training run but continues on, smashing running records and becoming one of the world's best ultrarunners. Along the way she attempts suicide, loses loved ones, falls in love, has her heartbroken, meets lifelong friends including her running partner and dachshund TruMan, and finally faces the past that led to her addiction. Catra Corbett, a former meth addict, is now the first American woman to run more than one hundred miles or more on over one hundred occasions, and holds the fastest known time for the John Muir trail of 425 miles, completing it in twelve days, four hours, and fifty-seven minutes. Her story has been covered in SBNation, ESPN W, HBO's Real Sport with Bryant Gumble, Runner's World, Fit and Feminist, the San Francisco Chronicle, and other outlets. She lives with her trail-running dachshund, TruMan, in Fremont, California. Dan England is a writer and features editor for the Greeley Tribune. He lives and works in Greeley, Colorado.